I used this pump for about one year. The problem I experienced was the same melting problem which has been mentioned time and time again. 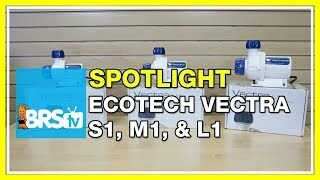 I am surprised that Ecotech is still selling this. I am also surprised BRS has not pulled it. If you value your tank you should absolutely avoid this pump. Same issue as others. The housing for the magnetic impeller looks like it's melting. I have too much invested in fish and coral to have my return pump fail. Switched to an Abyzz pump. This pump ran for a little less than 1 year and quit. The inside housing melted. I have not had any luck trying to get Eco Teck to replace it. "with all of those photos. I have reviewed them with the rest of our service team and we have determined that the amount of flow you are getting is due to the amount of plumbing in your sump. 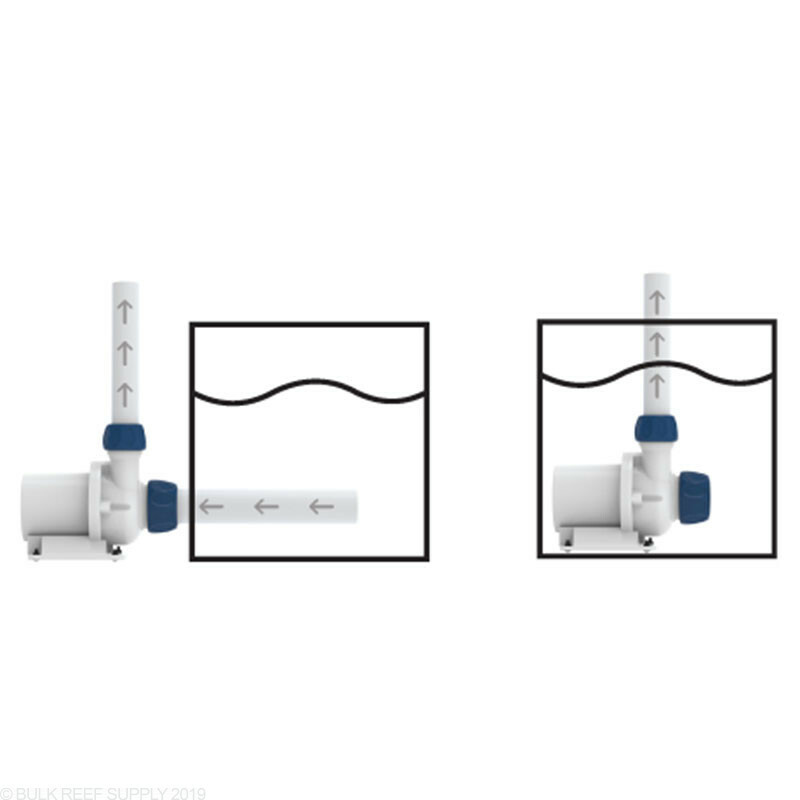 The flow meters are going to significantly restrict the Vectras flow rate." Basically vectra seems to struggle alot with head pressure. Again the setup in question here is: 1" pipe return with 5 feet height(head pressure). Now sure how do ecotech expect me to reduce it lower than 5 feet other than have the tank sit on floor. This pump is horrible. On my simple 5 feet height 1" pipe plumbing, vectra L1 read 380gph flow. I connect my old syncra 4.0(900gph) pump to the same setup my flow reads 550gph. Before I had the L1 I had the M1. With the M1, I had a power supply die a few months in, and a few months later had a pump die. It was replaced in both instances, but not a good start. I was running M1 at 100% so I decided to get an L1 and throttle it back. 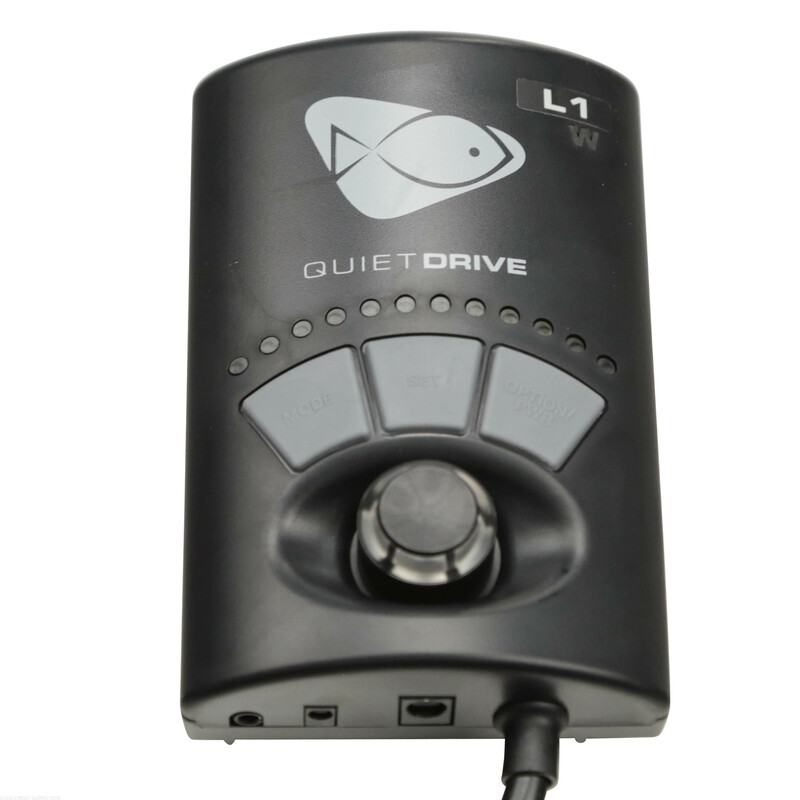 I've had the L1 for over a year now and (knock on wood) I have not had any issues. I don't however run the L1 at 100%, it's calibrated down. 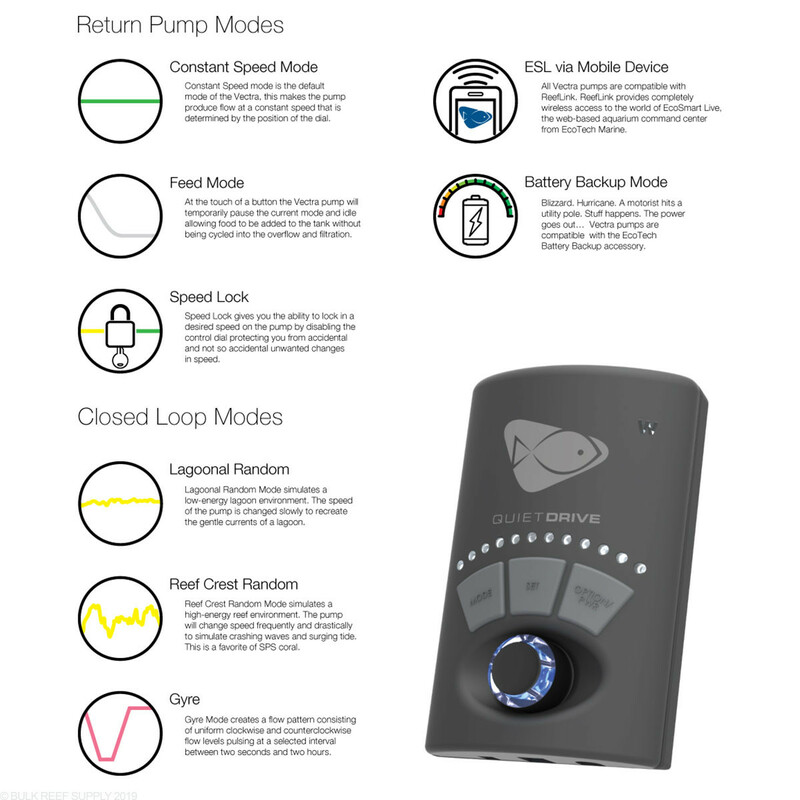 One of the main reasons I decided to go with Ecotech was the quality of their other products AND the promise at release of 3rd party controller integration. As most are aware they changed their mind on this and decided not to allow 3rd parties to integrate. 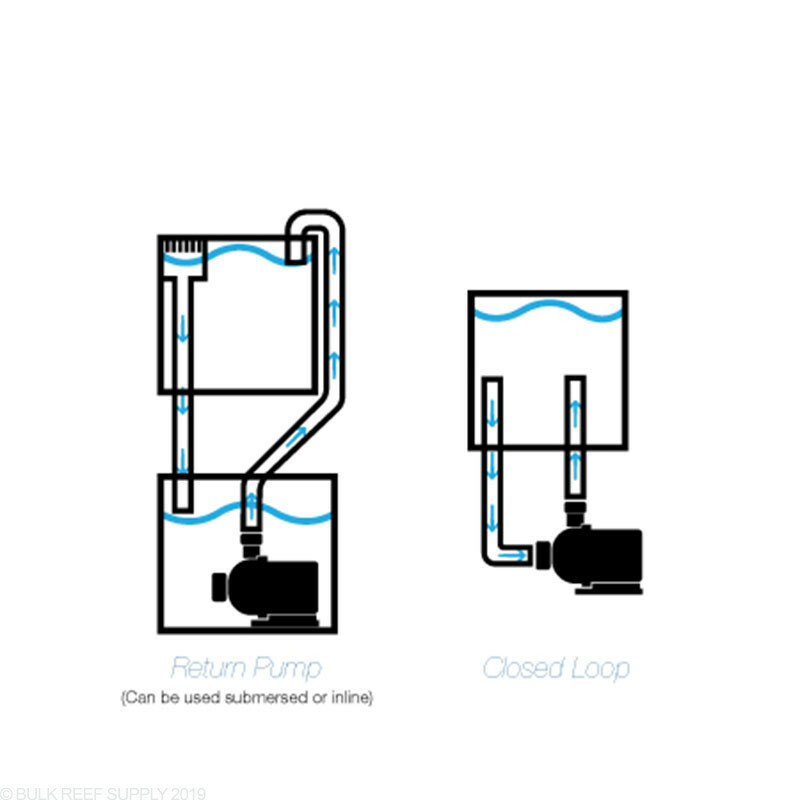 This is a deal breaker for me and I will never by another Ecotech return pump. I have a number of ecotech products and for the most part an really happy with them, however I am not as much a fan of this one. my first one seized after 6 months, looks like the plastic where the shaft went in melted or something. I will say that their customer service as always was great I called them and they sent a new one (thank you!) but 4 months later it looks like it is happening again, I was performing maintenance and looks like its melting again. Disappointed. I unfortunately bought many of these pumps. They ALL melted. For all the money I spent on these failed pumps, I could have had an Abyzz or two. What a disaster. Came home today to alarms going off and found that this pump had failed. I clean my pumps every three months so I know how they they are doing. The plastic inside melted and seized the pump. It clearly had overheated and cracked the body as well. For the money you think that it would last longer. I have a mag drive that has been in service on a smaller tank for 10 years. So disappointing! I installed the Vectra L1 to replace an old little giant 4MDQX-SC. Ripped out all my old 3/4" plumbing and replaced with 1.5" output to 2X1" tee, to dual returns. There are no bubbles (fizz) at all! The little giant produced tonnes of microfine bubbles, but now the water is clear. The pump is also super quiet, and powerful. I am only running on setting 2, as my overflow can't handle more! Nice and compact in the sump. Ecotech could improve on customer satisfaction by including the stupid adapters (British fittings) with the pump. I missed this detail, and had to re-order the fittings. Remember to by the stupid adapter fittings!! My first salt water tank of 200 gallons and I've had no problems at all with this pump. Runs quiet and smooth. I took it apart once to see if there was any issue with build up. Nothing significant noted so I soaked in in vinegar for a little while and put back in sump. I'm just one months shy of a year in use. 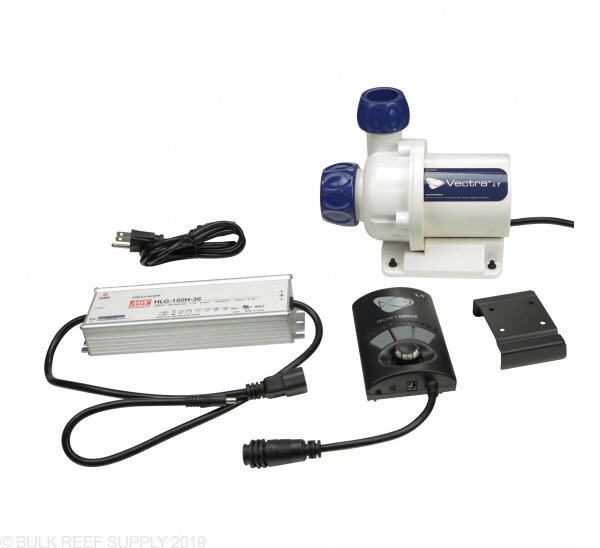 Does this pump have a back up battery available to purchase through this website? This will run using the Ecotech battery back up currently. Feel free to let us know if you have any further questions! Can this pump be controlled with an apex? 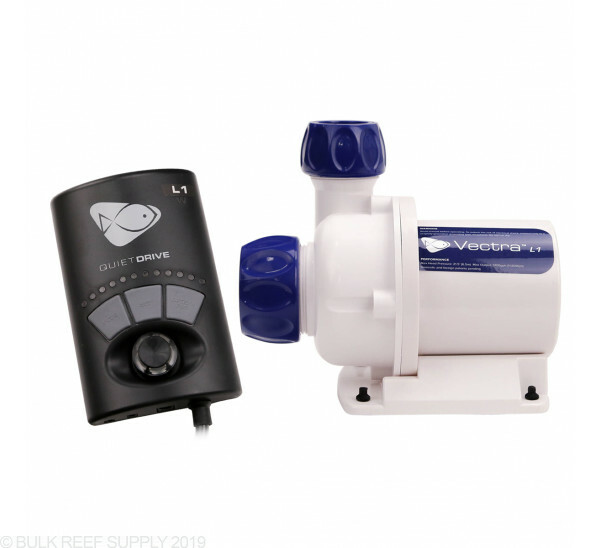 Would this Vectra L1 DC - Ecotech Marine pump be strong enough to run my 340 gallon mix reef tank as a return pump and a biopellet reactor, gfo, and carbon reactor?? I have a 210g FW African tank. My Danner Mag24 is on its way out and I've been looking at DC pumps primarily for reducing power consumption. The pump will be an inline return pump with a manifold to feed a PhosBan reactor and UV filter (left over from my discus days). 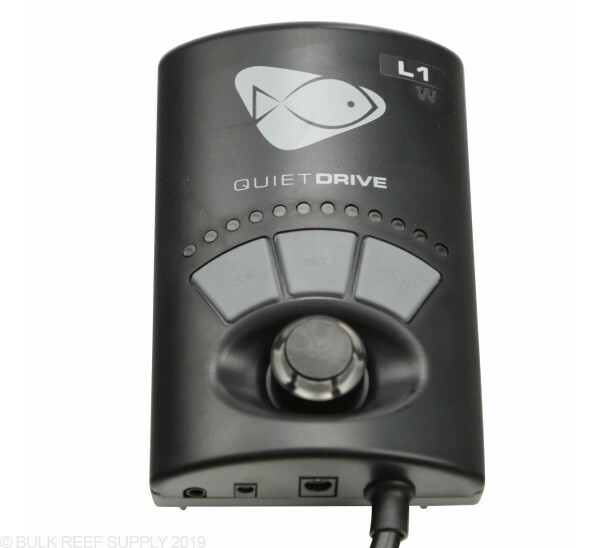 I know the L1 is probably over kill but I can adjust water volume with the pump's speed control. I don't need all the bells & whistles that DC pumps offer. The pump will be controlled on/off via an Apex system. My question is does the pump come with the necessary fittings to use U.S. sized PVC or do I need to order those separately? 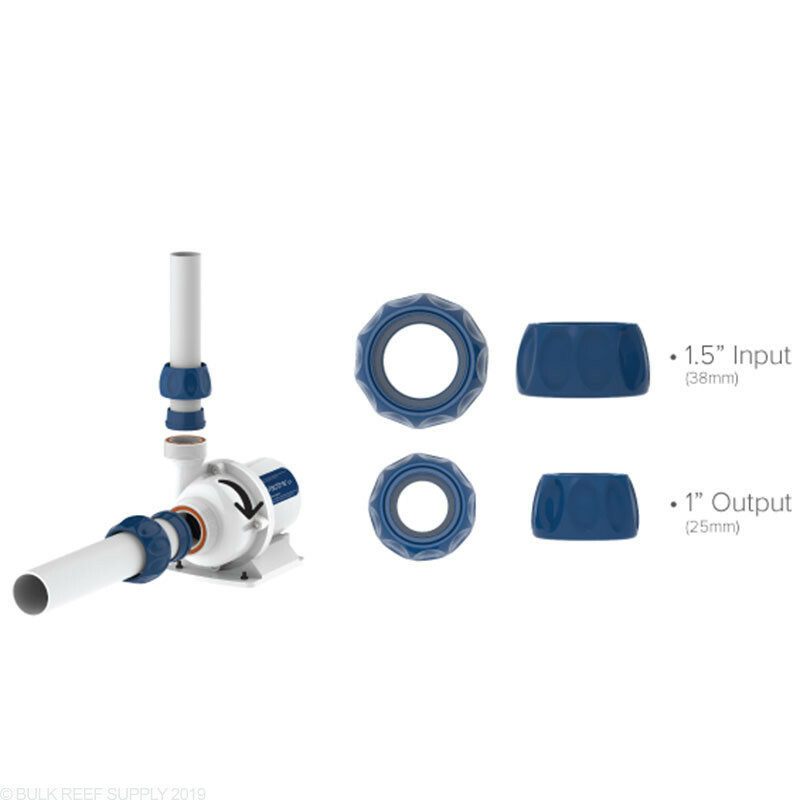 The L1 does come with slip-fit collars for the inlet and outlet which are set up for US plumbing. 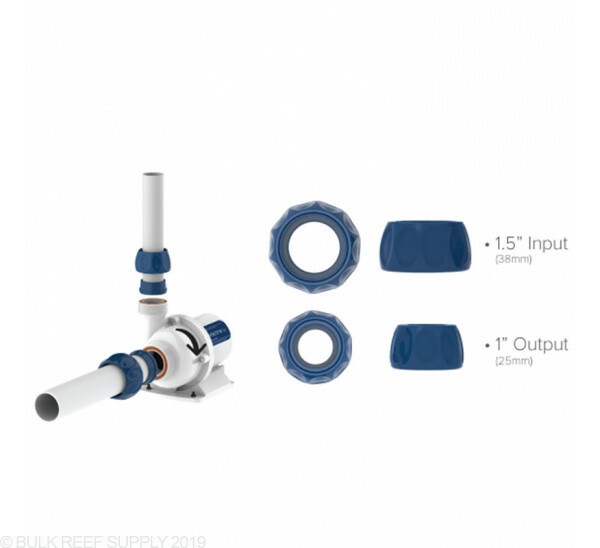 if you wish to do away with the slip collar and plumb onto the pump's threads, they do sell an adapter coupling which converts from the outside BSP threads to US slip. The Vectra L1 may be up to the task, but pumping up a floor does add a fair amount of head pressure that the pump has to overcome, and this will greatly reduce the output of the pump. I think this would largely depend on having a simple, straightforward return line with minimal elbows or extra fittings that might add more backpressure. If you're not looking for a massive amount of turnover, the L1 can likely still achieve a decent 5-7x/hr turnover rate through your sump. I currently run an L1 at 100%. How long will the battery back up last with one Ecotech battery? How long with two? The battery without the ecotech battery booster( coming soon from Ecotech) is not designed to run the L1 for more than a few hours. Feel free to let us know if you have any further questions! This may depend on your desired turnover rate and specifics of your plumbing setup, but I would be hesitant to say this would be powerful enough after taking into account flow loss due to head pressure and plumbing friction. If you have a fairly simple, open return line with minimal sharp turns and valves, and the head height is not too great, you could probably achieve about a 4-5x/hr turnover rate with this pump. 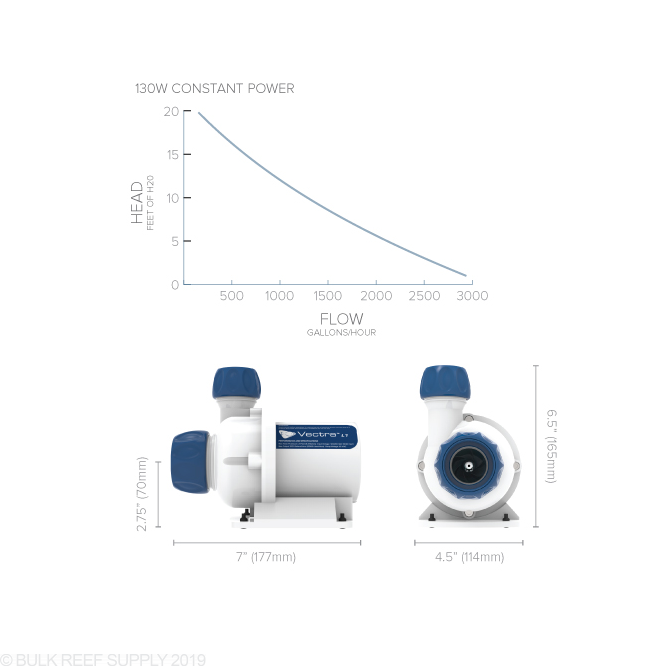 Can you vary the flow control when used as an external return pump? Wondering if I would be able to reduce flow overnight like "night mode" with the Vortechs? 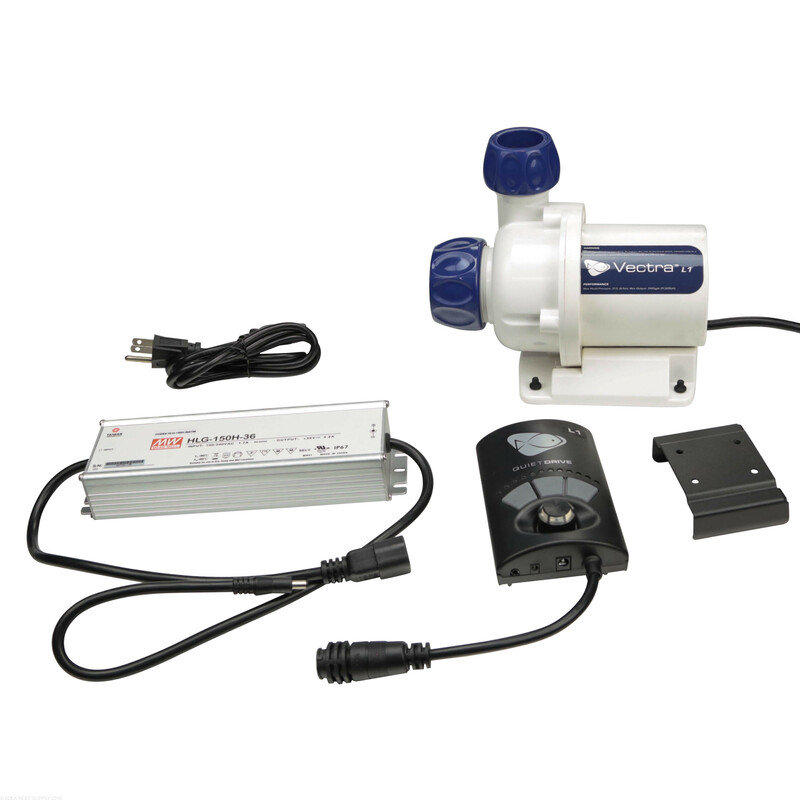 The Vortech Vectra pumps can be programmed to reduce their flow at night, however, you will need the ReefLink control module to do so. 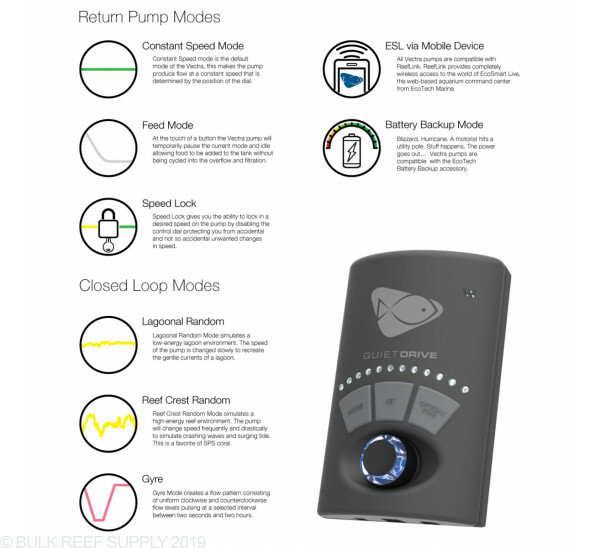 The ReefLink would let you control any wireless Ecotech product. What is the gph on this pump ????? Great question! 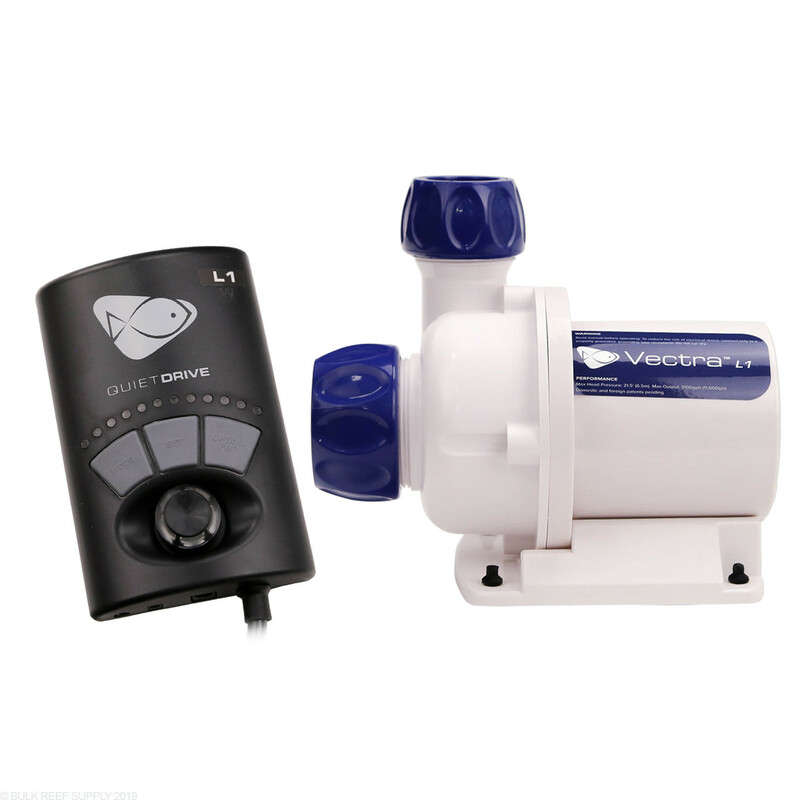 The GPH of the Ecotech L1 Vectra is adjustable, maxing out at 3100GPH. What is the gph on this pump with the max head pressure? 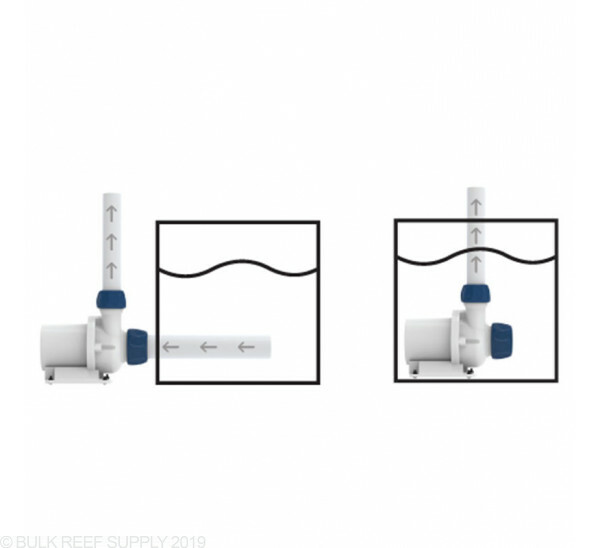 Max Head Pressure means at that height the water flow GPH will be 0. at half of the head height the max flow will be half of the full amount. Does this pump work with wmx from apex?